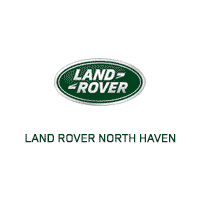 Looking for a new Land Rover Range Rover Velar for sale near Branford? With over 26 new Range Rover Velar models in stock, Land Rover North Haven has you covered. Stay connected with the Touch Pro navigation system, while enjoying incredible sound with the available 825-watt Meridian surround sound system. And with our competitive Velar lease offers and incentives, it’s never been easier to get behind the wheel of the Land Rover SUV of your dreams! Browse our inventory of Range Rover Velar models for sale to discover the perfect one to drive home to Madison! Once you’ve browsed our selection of Velar SUVs for sale, it’s time to experience the thrill of driving one. Contact us today to schedule your visit to our showroom in North Haven near North Haven.